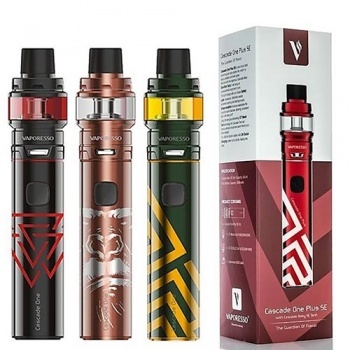 Vaporesso Cascade One Plus SE Sub Ohm vape pen has a huge 3000 mAh built-in battery and 2ml / 6ml capacity Cascade Baby SE tank that produces a whole new level of flavour and vapour clouds. Regulating the One Plus SE is Vaporesso's OMNI Board Mini regulated chip to ensure maximum safety without sacrificing high performance. Flash Heat allows rapid and even heating distribution for the purest flavour possible. 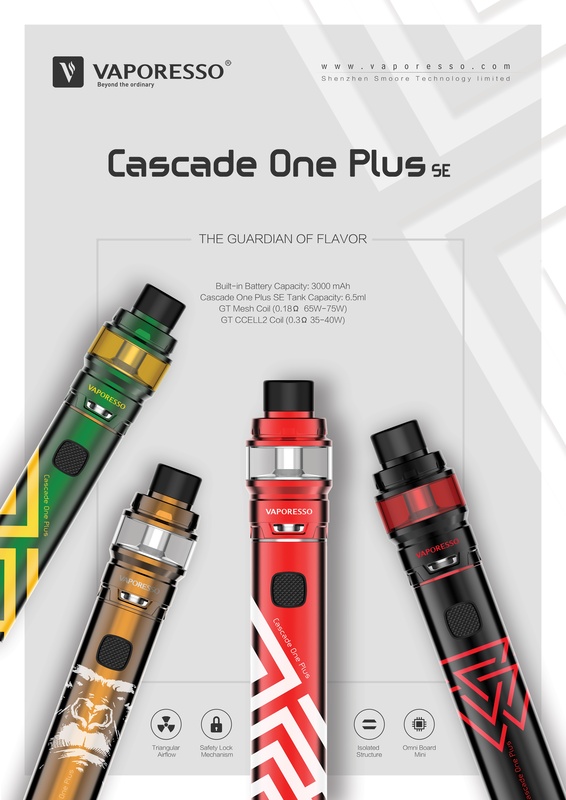 Saftey features Built into the Cascade One Plus SE Mod Short Circuit Protection, Low Voltage Protection, No Load Protection, Over tempreture Protection, Overtime Protection and Low Power Protection. The 2ml or 6.5ml (if rubber insert is removed) Cascade Baby SE Tank uses Isolating Structure and Triangular Air-Flow the isolation structure separates the coil and juice chamber giving a more consistent, intense flavour. Triangular Air-Flow uses 3 air flow slots instead of the 2 on conventional tanks, giving a much smoother draw and denser vapour production.